This page is an attempt to communicate information about pending legislation in both the NY state congress and the Federal government. All dog breeders, owners, and lovers need to be aware of these bills as they are not always as positive as they seem on the surface and can not only dramatically effect the dog community but add unnecessary costs to the government budget. The links to the website for where these bills are being presented are included. There will be a place to search for bills. Put in the bill number and search for it. You can then read all of the wording and content of the bill. Remember, most of these are written by non-dog people responding to some "need" they have been given information where action "must" be taken. If the detailed wording does not make sense, then the sponsor of the bill should be notified along with your own government representative. Yes, one voice is hard to hear, but many voices together make a difference. § 113-a. Obedience training; required. 1. The commissioner shall by rule or regulation establish requirements for basic obedience for dogs and their owners which must be successfully completed pursuant to this section. Such requirements shall include instruction for the owner on the principles of dog training, and instruction on and practice of obedience training by both the dog and its owner. Furthermore, the commissioner shall establish minimum requirements for the successful completion of such basic obedience courses. 2. The commissioner shall establish requirements for dog obedience schools which are authorized to provide the basic dog obedience courses for dogs and their owners as required by this section. 3. The owner of any dog reaching the age of one year shall, on or before the date such dog reaches one year of age or within one hundred eighty days of receiving ownership of such dog, whichever shall be later, successfully complete, with his or her dog, a basic obedience course. 4. Upon successful completion of a basic obedience course for dogs and their owners, the dog obedience school shall issue a certificate to the owner that he or she and his or her dog have completed such course. Upon presentation of such a certificate to a licensing clerk by the owner of a dog, such clerk shall issue, free of charge, to the dog owner a yellow metal tag which shall be affixed to a collar on the dog at all times. Such yellow metal tags shall be issued to licensing clerks by the department. Sounds all well and good. But this is tied into the licensing of dogs. At least they are giving a one-year timeframe for the certificate to be acquired. That would mean that the first license, which has to be done within 4 months of age, would be done without the certificate, but the next year, the certificate would be necessary to renew the license. But the commissioner of agriculture will be dictating what the obedience class content is AND making authorization to dog obedience schools to run the class. Who knows how many dog obedience schools will be approved and where they will be located. So you sell a puppy to Podunktown, NY and the owner now has to travel 50 miles one way for 6 weeks or more to get the certification! So it is not so much the bill itself, but the application of all of the pieces required to do the certificate that make it questionable. And of course, no information on the application of the pieces until the bill is passed. 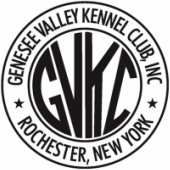 This will be a good bill to watch as if it passes, kennel clubs who can offer obedience classes will need to get with the commissioner to see if they can be approved to teach these classes. If so, could be a win for the clubs in terms of income. But still leaves a layer of difficulty for puppies sold to owners in NY for the breeder. Would we ethically be responsible to educate the owners on this obedience training requirement? It will increase the cost of dog ownership. A06173 would require the completion of disclosure forms before the surrender of a dog to a shelter. S04461 increases the penalties for owners of dangerous dogs. S04570 relates to standardization of microchip technology used for animal identification. S04896 would require all dogs and their owners to successfully complete obedience training. S04929 would make victims of certain dog attacks eligible for awards by the crime victims board. S05080 relates to therapy dogs and cats for persons with a disability. permissible sources of dogs and cats used by research facilities.